Best0fLineage pledge is filled with level 50 players. I had a chance to speak to Panasonic and Telephone and believe it or not, they are brothers. They both started Lineage several years ago in Korea when there were only 3 Korean servers. They have since moved to New York and play in the same PC room as the level 52 Dlrmsgur. They both left characters on the live servers for LoA (for a fresh start) and never really thought about hitting level 50. The level 50 CON elf (who is employed) and CON knight (who is finishing up college) still find time to gain about 3% hunting Fire Valley and Dragon Valley Caves for about 12 hours a day. 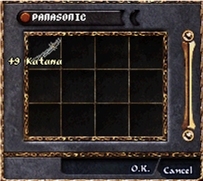 Panasonic uses a +9 blessed katana while his brother wields a +8 rapier and a +7 bowgun. They both have AC in the -60s but wouldnt be anymore specific. When asked if they could change one thing about the server they would like to see LoA get global chat. They also said they are looking forward to the level 45 quests and the marriage system. Panasonic only died 3 times at 49 while Telephone died an astonishing 12! Even though Telephone suffered so many deaths he never gave up and hit 50 only 5 days after his brother. They would like to say thanks to all the people that healed and earthed them, their pledge, and of course Dlrmsgur who urged them to level. I asked Telephone what advice he could give a person looking to hit 50. He responded with the simple answer," never give up." what does 12 hours a day in a gameroom cost monthly? oh my god, sitting at gamerooms 12hrs/30 days.. one: rich bastards two: onlinecafe's are cheap in america three: they own it by themselves..
beavis if u have a contract over a longer time with the owner wont costs more then 100 bucks a month. 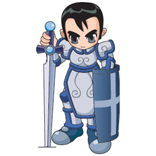 Panasonic is cool too ^_^ always 1:1 her at seige with my knight T_T 4:3 for her so far. gumsin02... ran off with like 500k from evening.. didn't he? Gumsin02 didnt run off with anything. He gave me his +2hunter bow and some other junk when he quit. "we both share our accounts with the same people that mass-levelled dlrsmgur"
87 do you really have nothing to do? Obviously you have something against BoL members and have no life but to sit and keep refreshing LC to wait for more BoL interviews so you can post more of your dumb thoughts. Shouldnt you be spending your time levelling your 50+ knight on Dep who remains nameless. You need to get a life bro spend all your time yappin. 'They also said they are looking forward to the level 45 quests AND THE MARRIAGE SYSTEM.' is that legal for brothers?!?! 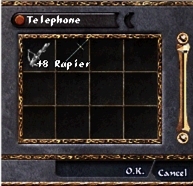 btw telephone doesnt deserve this, he heals and hastes bosses if your there at the same time as him, and tries to pine wand ppl when afk.....congrats to panasonic though. NBK, i feel it is my duty to flame and harrass any person(s) that i know cheat, hack, share to improve their lack of game playing ability. i do not only target BoL, i would be happy to talk about 2soonjr, or a number of dep/ken pledges for that matter. dep server fell into its lull because one large, chetaing alliance decided that they would control everything. my knight will remain unnamed. i will let you know that he has almost 700hp base, which is the result of years of dying and releveling, i will also let you know that, even tho i do not play much anymore, you can not have my username and password to mass level him. no sum of money will purchase him from me. Hey friends!! very very nice!! Now go to lvl 52!! g0g0g0!! yes my acc has been access by around 20 IP addresses..
i cant find any PC gamerooms in NYC. i have no clue where to look either, and dont tell me teh yellow pages cause i dont like those retarded looking yellow pages in a book call the yellow pages. Congrats guys it be cool to have 2 lvl 50's in a family. yo 87 i agree witcha. i shared accs before but when they play something like 12 hours a day, it should at least be given consideration that 2+ ppl leveling isn't quite the single person accomplishment. i'm not accusing anyone nor do i really care if more than 1 plays an acc. i'm simply saying when ppl do share, we should just value those solo-players even more. way to go guys. too bad i cant play 12 hrs a day -.- Even if i had the time, I just dont think i have the ability to sit there for that long. So again i say. good job guys. it is about your gaming environment in rl! get with the picture ppl! what game room u guys in ?_? How come I didnt get banned so I can quit this evil game. By the way congrats to Telephone, He's a cool guy. 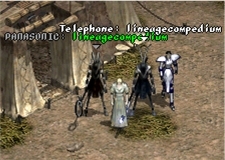 telephone congrats is lvl 50 ohhhhhhh!!!!!!!!! !